For the past few months we have been analyzing certain issues in relation to the increased CPU usage that causes troubles for our customers. Although these occurrences are not so many, we have been looking for a solution to reduce the number of such problems. After in-depth analysis we came to the conclusion that most issues occur since CPU time is counted on a daily basis as it usually happens with most of the hosting companies. Therefore as of April 1st 2017 we are going to migrate to a new system that we believe will be far more user-friendly. Currently the minutes of CPU time spent for a hosting account are counted per 24 hours as the maximum value is calculated for this interval. 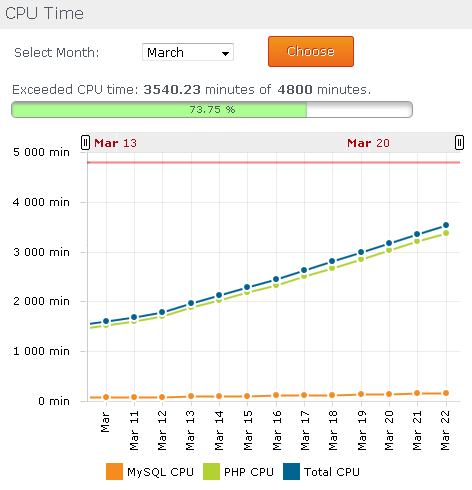 Now from the 1st April CPU time will be counted on a monthly basis. On the first day of each month the value of the minutes spent for the previous month will be reset and new counting will take place. The 24 hours stats will be kept but the CPU minutes spent will be counted on a monthly basis. 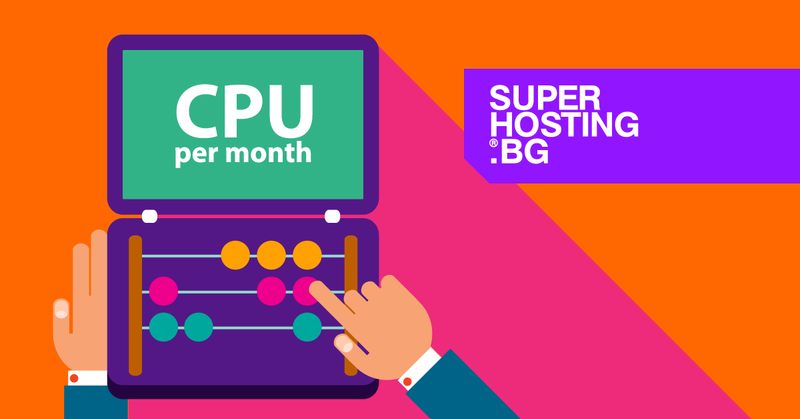 We will make sure to contact each of our customers in case their hosting account reaches or exceeds 80% CPU usage for the current month. This way we will guarantee the proper operation of all websites. It is essential that every website uses the right hosting solution so that the monthly CPU time is not quickly spent and access to the website does not get temporarily restricted. The minutes that are not used within one month will not be transferred to following months. What are the advantages of the new counting method? As years pass by we've noticed that increased CPU time (counted per 24 hours) is usually not a lasting trend, but it is monitored in short intervals or the so called "peaks". They may be due to some temporary changes in your activities (an advertising campaign, online gaming, promotion, interesting piece of news or others) that lead to increased crawling by bots, numerous queries from certain IPs, etc. Example: You launch an ad campaign that is scheduled for 5 days. For those 5 days the website will most probably get a lot more visits that will lead to increased server resource usage, especially the CPU time spent. If during those 5 days the website spends 140 minutes CPU time (with 110 minutes per 24 hours for the SuperPro plan) with the current counting system you will be notified that your account is exceeding 110 minutes per 24 hours and you need to take measures aimed at optimization or transfer to a higher parameter service. But if the same website spends 70 minutes per 24 hours on average and 140 minutes only during the advertising campaign, the CPU time spent for the month will be enough (2450 minutes from 3300) and the website will keep operating flawlessly with this plan without notifying you that it has exceeded its average daily parameter. After the counting change our customers will be free to use their CPU time minutes as they wish within the current month. But if a hosting account regularly reaches or exceeds the limits even with counting on a monthly basis it might be a better idea to transfer to a higher parameter service so that the website will be up all the time and all visitors will be able to access it. We remind you that this it is the time necessary for a hosting account to run processes and scripts in itself so that the hosted websites work properly. In other words this is the time required by a server processor core to execute the operations for script processing and to return a result. You’re able to find exceeded CPU time in your Client Profile - Hosting Accounts - Details. How many accounts will be affected by this change? Only 0.7 % from our customers administer websites exceeding their CPU time limits. However, it is important for us to meet all our customers’ expectations and improve every process so that everyone gets a high quality service and impeccable support on our behalf. With our new counting system we plan to decrease by 50% the number of accounts that have issues due to lack of this resource. 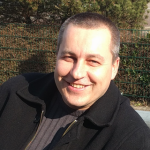 Svetoslav is vital part of our SuperTeam. His SuperPowers are multitasking and the skill to put all projects in order. He always knows which is the right approach to implement improvements and how to make our clients happy. What is About to Happen on the 12th September?